The purpose of this tutorial is to explain how to start working with PEACH Lab environment where users can use Jupyter notebooks to explore data and build recommendation algorithms. To be able to complete this tutorial, you will need an access to the PEACH Lab. 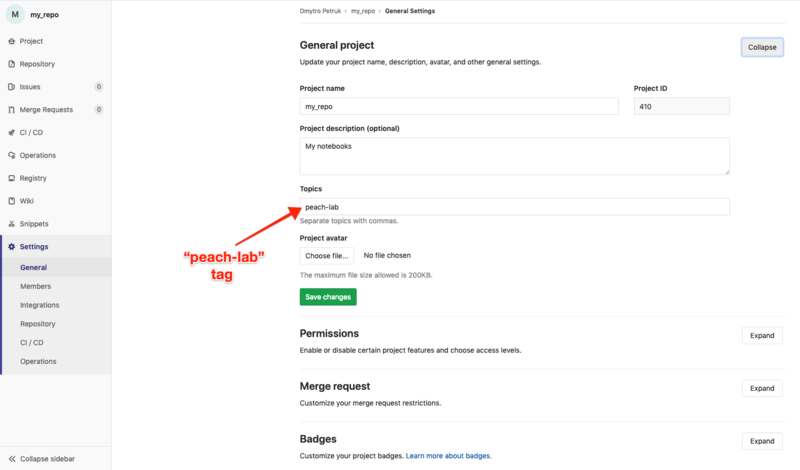 It is required to have EBU GitLab account and permissions to use PEACH Lab. If you are new to the PEACH contact the team to get it solved for you. 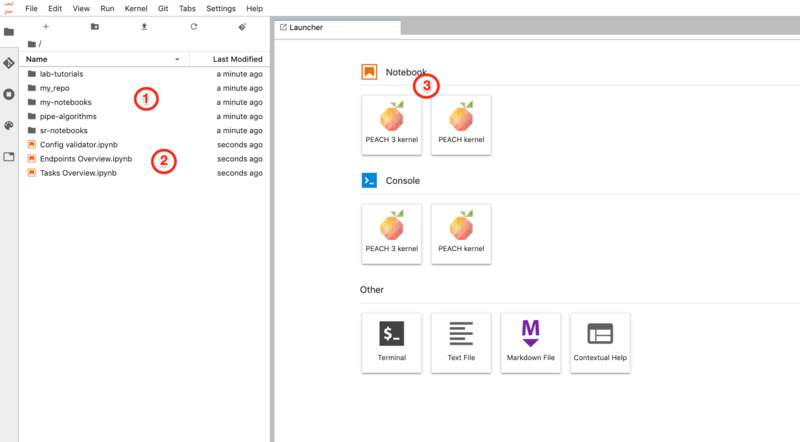 First you need to set up your notebook engine on PEACH platform, where you first sign in using GitLab account. 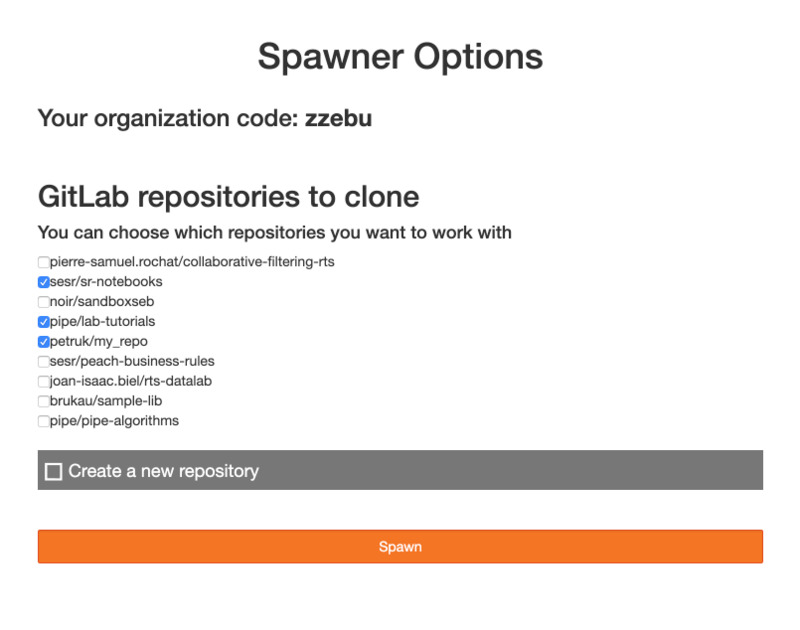 Select repositories which you would like to be cloned to your environment during the engine start. You can choose private (your personal) or public repositories (broadcaster/team level).